HOUSTON, TX – Texas Southern senior first baseman Tyler Flanagan received All-Conference preseason honors. He was named to the baseball Preseason All-SWAC second team. 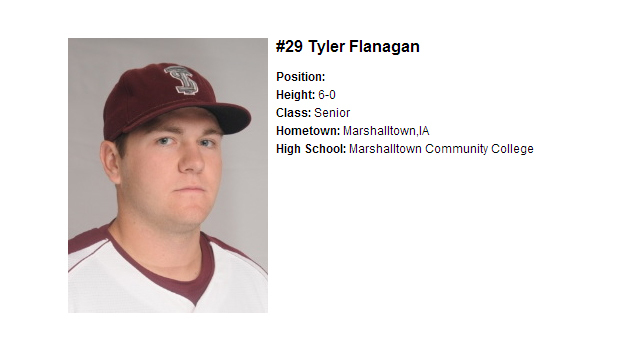 Flanagan played in 40 games and finished the 2012 season with a .265 batting average. He had 30 hits, 24 RBIs, 23 runs, nine doubles and three homeruns. The Tigers were picked to finish 4th in the West. Southern was predicted to win the West while Alabama State was picked to finish 1st in the East. Texas Southern’s first game of the season is against Jackson State on February 15th in Jackson, MS. The Preseason All-SWAC teams and the predicted finishes were voted on by the Southwestern Athletic Conference baseball head coaches and sports information directors.